to info at connieshaw dot com (make into email address). Quantum Gazing is a GIFT given freely and there should never be any charge for attending Quantum Gazing sessions. At this time, Connie’s primary outer work is serving groups. In order to conserve her energy and time, it is impossible for her to receive guests at her home, answer individual email requests or do telephone energy work. Thank you for respecting her wishes. 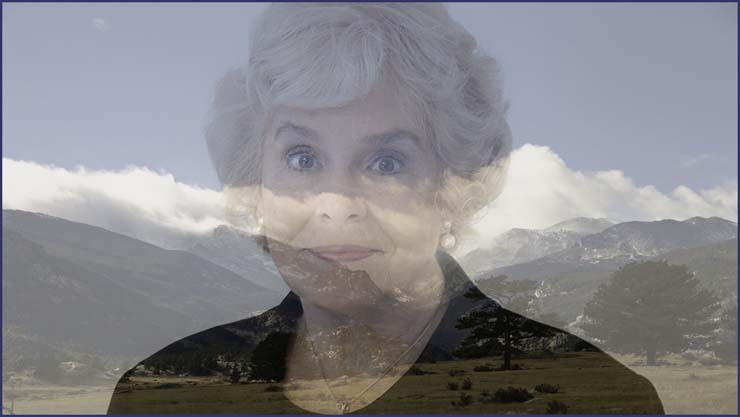 Quantum Gazing™ is not a personal interaction between Connie and you, but rather a transmission through Connie in which you connect with the quantum field of all possibilities. Time and Space are meaningless in the quantum field and thus it is easy for Quantum Gazing™ to be done over the internet with people thousands of miles away. Similarly, patterns of perfection from past or future are readily available since time is undefined in the quantum field. 1. Set three intentions for any kind of change you would like in your life. Repeat them clearly and then just let them go like leaves floating down a stream. Now forget about them! 2. Move your consciousness into your heart so that you will make the connection with the quantum field. Breathe in deeply. As you exhale, imagine your consciousness moving down into your heart and then expanding out into the Universe. Repeat this twice more. Notice the physical feeling of being in your heart space. 3. With unfocused eyes and consciousness in the heart, gaze at Connie. You have begun the transformation process! Begin noticing any changes in your life, huge or minute. Expect wonderful things! Allow your life to recharge on many levels. If you have a group of 15 or more and would like to request a Skype Video Quantum Gazing™ session, download a request form here, fill it out and email it back to us. NOTE: Quantum Gazing is not offered for individuals, only for groups. Find information about planning and setting up a Skype Video Quantum Gazing™ Session here. 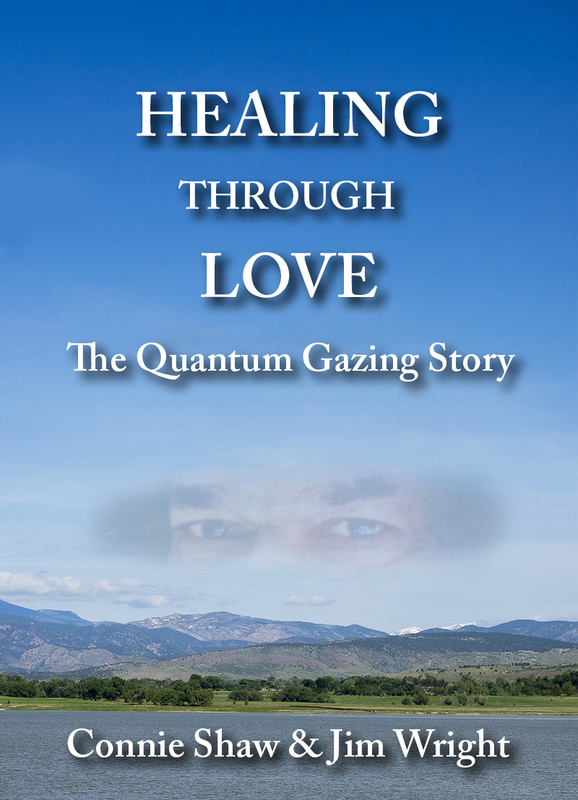 Here's a 3-fold flyer about us and the work we do with Quantum Gazing™ and Matrix Energetics. In 1997, on one of Connie Shaw’s 48 trips to India (taking sick people for healings), she was visiting a famous holy site in the form of a cave frequented by saints and sages. The cave had a three-foot entrance, and a thirty-foot vertical approach, which opened into a vast room that branched into many tunnels and side-rooms. As she stooped and scrambled through the low cave entrance and began the vertical descent into the dark vertical tunnel that led to the cave below, she was spread-eagled, clinging to the damp rock with her hands and feet, hoping she wouldn’t fall straight down into the murky darkness below. Since we give all credit to the Creator for any miracles, remissions, clearings, shifts or transformations of attendees at both in-person as well as Skype events featuring Quantum Gazing, we make no claims or guarantees to participants. We urge people to see their usual health care provider for any chronic or acute mental or physical issues or conditions. Our work is strictly offered in the vein of a gratis selfless service with the intent of empowering you to access your infinite potential via your intentions through the use of the Quantum Field of Universal Love... (more). For more detailed potential intentions, click here. There are many things to notice both during and after your Quantum Gazing™ session. Since there have been reports of nearly three dozen types of symptoms which have recently taken place, associated with gazing, it seems necessary and helpful to mention them in order that you can maximize your gazing experience and educate yourself as to its many unique and profound possibilities.